A raft of recommendations for the reform of the West Indies Cricket Board have been brusquely rejected by its president Dave Cameron. A CARICOM committee had suggested, among other things, the dissolution of the WICB in its present form and the appointment of independent directors to steer the game in the Caribbean. However in a lengthy missive, Cameron took exception to allegations of unaccountable governance and ineffective leadership and stated the report lacked credibility. "The presidents of the territorial boards expressed concern that neither they, nor members of their respective boards were interviewed or consulted by the panel," Cameron said. "Additionally, none of the independent directors were interviewed by the panel. This failure to consult with a representative variety of local cricket administrators and operators meant, or had the consequence of denying the panel a full opportunity of ascertaining the key facts. "This has caused or triggered findings and recommendations by the panel which are not supported by the facts. The panel made statements and conclusions related to the structure and governance of the WICB, while ignoring the sweeping structural and governance changes which have taken place at WICB since 2002." But the real world implications are hard to ignore. West Indies' poor - albeit improving - displays down under this summer have run parallel to debate over the future of Caribbean cricket governance, and the likely shunting of the team to the fringes of the Australian season in coming years should be flagged. While hesitant to dictate terms to another ICC Full Member, Cricket Australia chief executive James Sutherland told ESPNcricinfo he hoped WICB would think carefully about where the game was headed. "We can't in any way pretend to understand the challenges in West Indian cricket," Sutherland said. "We can offer our support and encouragement. In a West Indies Cricket Board sense it's very much up to them to take our lead. But a series like this for us unfortunately does create question marks about the viability of the West Indies as an entertainment proposition. "There's no doubt the competitive nature of this series so far is having an impact on our crowds. Australian cricket fans love the West Indies, probably always been their second favourite team and they want the West Indies to do well. But at the same time they want to see a contest and they'd probably right now rather be watching someone else. "I think that is an issue for us, but ultimately it does become an issue for the West Indies Cricket Board and something they in time we'll have the opportunity to talk to them about and see how we can help. They've got their own governance reviews and recommendations they're considering now, and through our own experiences there I can only encourage them to seriously consider those." 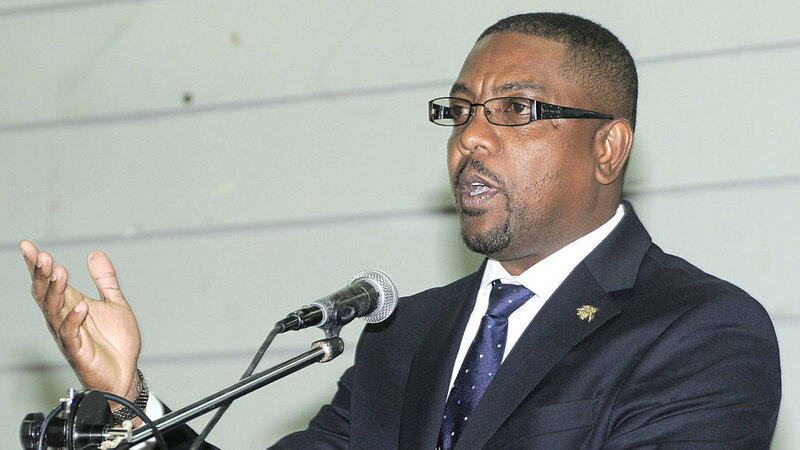 The CARICOM report had also highlighted issues around team performance, but Cameron insisted, "Great focus was placed on connecting WICB governance directly to the on-field performance of the senior team. This team is selected by a selection committee comprising cricket legends. "The team consists of the best players available for selection and consists of men, not boys. The players are well supported, are comparatively well-paid as professionals, and have an obligation to produce their best efforts consistently. It is therefore wrong to blame 'governance' of the WICB for the team's performances on the field. "This missed not only the initiatives put in place by the board. In any event, the WICB was not given the credit when the team won the ICC Champions Trophy 10 years ago, or the T20 World Cup just three years ago. Little, if anything, was said about the significant strides in youth development and other aspects of West Indies cricket, including women's cricket. "It should be mentioned that the panel made much of the absence of a women's cricket Test team. But the records show that there has been at least one Test match played by WI Women in 2005. The facts are that Test matches for women are not common internationally." Also addressing concerns raised about the withdrawal of the West Indies team from the 2014 tour of India due to a pay dispute, and the recent suspension of the coach Phil Simmons from the 2015 tour of Sri Lanka for criticising team selections, Cameron suggested neither matter had been depicted accurately. "The panel relied on the one-year old abandoned Indian tour matter, and the more recent disciplinary action resulting from the inappropriate public comments by the coach, as matters which can justify their wide ranging assumptions and recommendations," Cameron said. "The board is of the view that the panel got the facts wrong in both matters and therefore arrived at unjustified conclusions. "For example: a) The facts surrounding the cancellation of the tour are now pubic knowledge and it is well known that the Indian tour was not cancelled or acquiesced by the WICB; and b) The matter of the coach concerned his own irregular conduct and his breach of provisions of his contract. "The matter was appropriately, and some believed leniently, dealt with by the management, and supported by members of the Human Resource Committee. This was not a board decision as was assumed by some in the media and the panel. The coach admitted that he had erred and apologised to the CEO and WICB publicly. The panel seems to have ignored the facts in this matter and drew conclusions based mostly on misguided and erroneous media reports." Sutherland and the former CA chairman Wally Edwards oversaw major governance changes in Australia that included the disbanding of the old 14-man board of state representatives to be replaced with a new model featuring nine independent directors. "It really does from our experience create an environment that allows the flexibility and confidence to focus on the important things that allow the game to grow," Sutherland said, "without competing interests and at times conflicts of interest that come from your natural constituents."